Replacement:RTL-12578. The firmware on this Roving Networks product has been updated from version 4.77 to the 6.15 version. This page is for reference only. 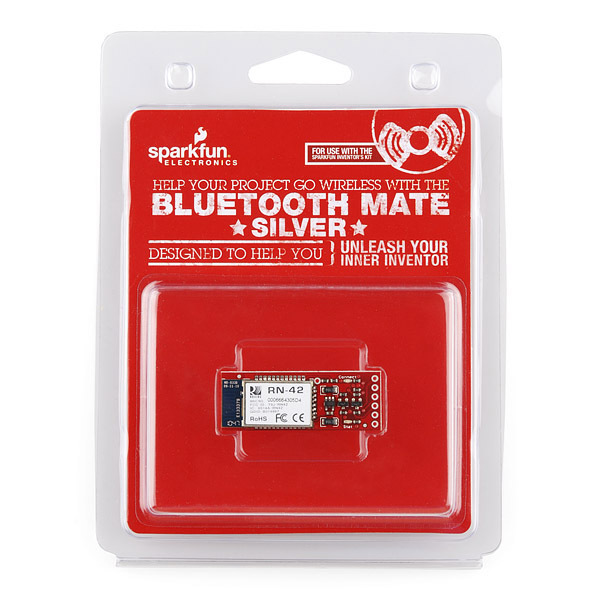 The Bluetooth Mate is very similar to our BlueSMiRF modem, but it is designed specifically to be used with our Arduino Pros and LilyPad Arduinos. This one also comes in retail packaging. Check below for the non-retail version. These modems work as a serial (RX/TX) pipe, and are a great wireless replacement for serial cables. Any serial stream from 9600 to 115200bps can be passed seamlessly from your computer to your target. We've tested these units successfully over open air at 30ft (10m)! 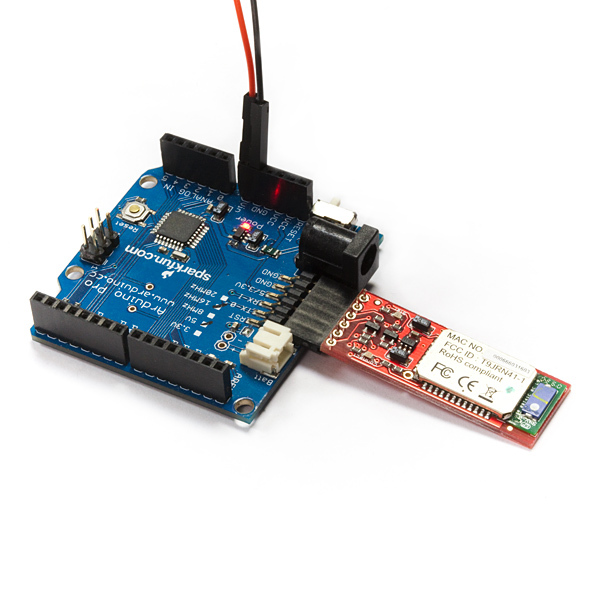 This unit ships with an RN-42 class 2 bluetooth module, a very easy-to-use and well documented bluetooth module. Make sure you check out the datasheet and command set links below. I picked one of these up at the local Microcenter and have found it to be a wonderful product. I used it to connect an Arduino to an Android Tablet. Will this work with the arduino pro 5v? It will work with either the Arduino Pro 3.3v or 5v versions. 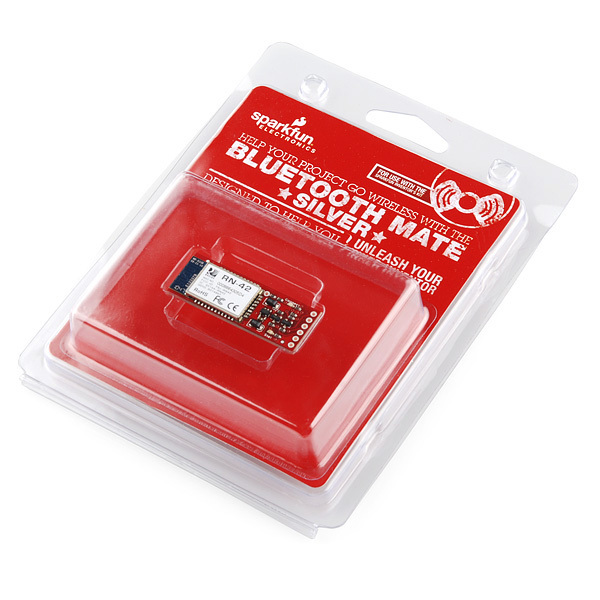 The Bluetooth Mate silver comes with the RN-42 module. 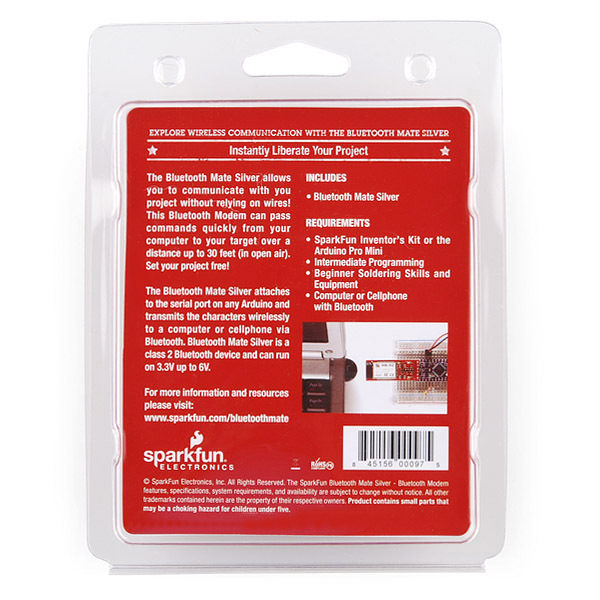 Spelling error on the back of the packaging: "communicate with you product" should be "communicate with your product".